What is BMW CIC SW PATCHER V2? from within FSTOOL or E-SYS like OEM. This is better enhanced version of what is selling / floating around these days. [*] DONE IN 10 SECONDS! SUPPORTS ONLY US AND ECE LATEST VERSIONS OF SOFTWARE, SO IF YOU HAVE US or ECE CAR, UPDATE YOUR CIC SOFTWARE AND ENJOY THE PATCH! How to Use SWT PATCHER V2? 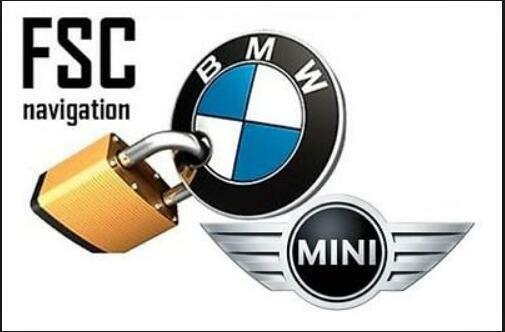 This is patcher for BMW CIC Professional Navigation, it patches binary file and replaces root certificate what enables you to sign your own FSC certificates from within FSTOOL or E-SYS like OEM. After patching, Self-generated certificates will be accepted as OEM ones. 1) This is ONLY for US (United States) and ECE (Central Europe) software versions! 2) You should update your CIC software to the latest before applying the patch! for multiple reboots, or hang in “Bootloader” mode which exposes the system to bricking or failure. 3) Insert USB drive into CIC, wait until reboot and you’re done! After cic has been patched and it restarted you can fire-up E-SYS or FSTOOL. If you go ahead and check status of FSC you will see that CIC has been virginized and only root certificate is accepted. Key you should use for signing FSC certificates is 00_PRIVATEKEYS\fscs.der other two private keys (root.der and sigs.der) you will have no use for, they are included just so the cert chain is complete. load them in E-SYS (FSC Editor) or FSTOOL, change ONLY VIN, sign them and save as. ** VERY IMPORTANT: If you do not know what you are doing, when modifying template certificates, change only VIN to match yours,do not edit other fields including date of issue. After making all certificates you will need for your retrofit you can install them normally via FSTOOL or ESYS, other needed certificates as SIGs and FSCs cert you can find in folder 02_CERTS from this archive.